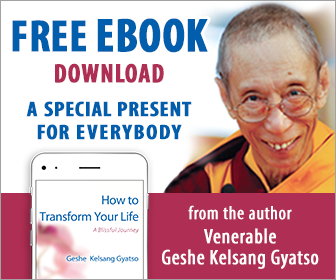 Tharpa Publications is NKT–IKBU’s publishing company and the exclusive publisher of books by Venerable Geshe Kelsang Gyatso. Tharpa is a global organization with a growing number of offices around the world. Besides books by Geshe Kelsang, Tharpa also produces, a wide range of Buddhist audio, Buddhist prayer books, and Buddhist art. Other products are planned for the near future. All the profits received by Tharpa are donated to the International Temples Fund, and these proceeds constitute a major part of the funds used to build Kadampa Temples around the world. So every time you make a purchase from the Tharpa website or from a Kadampa Center bookstore, you are contributing to the development of Kadampa Temples worldwide. 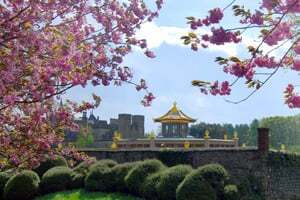 The original Tharpa and publisher of the full range of books and other products in English, Tharpa UK is based at the NKT Mother Center, Manjushri KMC, in England. Tharpa UK ships throughout the world and supplies other Tharpas with English products. See the Tharpa UK website. Based at KMC New York, Tharpa US distributes the English language books and other products produced by Tharpa UK throughout the United States, and soon throughout the Americas. It also distributes Spanish titles produced by Tharpa Spain, as well as a selection of products in other languages. Tharpa US also produces books and other products in US English. See the Tharpa US website. Based at Vajradhara Centre in Hong Kong, Tharpa Asia produces books and other products in Chinese and distributes these and other language products throughout Asia. See the Tharpa Asia website. Tharpa Brazil produces Portuguese books and other products, which it distributes throughout South America and supplies to other Tharpas. It also supplies a selection of products in other languages. Website coming soon. Based at KMC France, Tharpa France produces French books and other products, which it distributes throughout Europe and supplies to other Tharpas. It also supplies a selection of products in other languages. See the Tharpa France website. Based at KMC Germany, Tharpa Germany distributes German books and other products throughout Europe. See the Tharpa Germany website. Presently based in Lugarno, Tharpa Italy produces books in Italian, which it distributes throughout Europe and supplies to other Tharpas. See the Tharpa Italy website. Based at Amitabha Centre in Osaka, Tharpa Japan is beginning to produce books in Japanese, which it ships throughout Asia and supplies to other Tharpas. Website coming soon. Based at Mahasiddha Centre in Durban, Tharpa South Africa distributes the English language books and other products produced by Tharpa UK throughout South Africa. It also supplies a selection of products in other languages. See the Tharpa South Africa website. Based at KMC Spain, Tharpa Spain produces Spanish books and other products, which it distributes throughout Europe and supplies to other Tharpas. It also supplies a selection of products in other languages. See the Tharpa Spain website. Based at KMC Switzerland, Tharpa Switzerland produces German books and other products, which it distributes throughout Europe and supplies to other Tharpas. It also supplies a selection of products in other languages. See the Tharpa Switzerland website.